So you are ready to take the plunge! The link to our application is below, but first we would like to share some info on what we look for in a perfect Forever Family! Step 1: Is a Rescue Doxie Right for You? Are you IVDD Savvy and know what symptoms to look for? Would you choose conservative treatment or surgical? 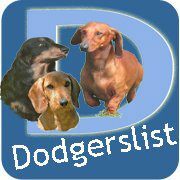 Our friends at Dodgerslist (www.dodgerslist.com) are the best online resource for IVDD as well as the best place for doxie families to read up and be prepared to face IVDD. We encourage all families to familiarize themselves with IVDD as plans for treatment factor into the application process. Insurance is a huge resource to have in place for working through IVDD. See the side bar to the left to learn more about Trupanion, DRSF's insurance partner. Doxies can live to be 18 years old and we look for forever families who are ready to make a lifetime commitment to their newest family member. We very seldom have puppies come into rescue as they are the ones that get scooped up first from the shelters. The dogs that come into our care (and we feel are the most beautiful) are the ones that were passed over at the shelters for various reasons, and without a rescue to go to they would be euthanized. Our Foster Families give us good information on the personality and character of our dogs, allowing us to match your family with a really great pet. Please consider opening your heart a bit further than you might have anticipated in being open to finding your perfect match: a “differently-abled” Doxie or a senior dog could be the perfect pet for you and our expert doxie matchmakers can guide you to a perfect match! Step 2: Am I Eligible? Current household pets must be spayed or neutered, with some exceptions for health reasons. Any companion animals must be current on vaccines, flea/tick, and heartworm medication. DRSF goes back 5 years in checking vetting records and utilizes the AVMA guidelines for preventative care to confirm annual checkups (2x annually for seniors), dentals, bloodwork, and treatment provided when necessary. DRSF is not equipped to ship dogs, so potential Forever Families should be in the South Florida area, or open to making a trip to South Florida to adopt! DRSF's goal is to find the best match between our dogs and adopters. Key elements include an effort to ensure dogs are placed in homes that are the best match based on energy and needs and to help protect our dogs from becoming homeless. As such, we ask that applicants age 79 and above have a co-applicant at time of the adoption who is willing to also sign DRSF's the ownership contract agreeing to take in the adopted dog should the primary adopter become unable to care for the dog. If you have any questions about any step of the process, the DRSF team is avaiablel to answer any questions at info@dachshundrescuesouthflorida.com! Step 3: Know What To Expect! "But we applied for that dog first!" We place dogs based on the best fit between a dog's personality and a family's lifestyle, past experince with dogs, and their personality as well. Unfortunately, being first to apply doesn't guarantee that you will be first in line for a particular dog. "I am tired of waiting and want a dog now." We understand that once you have made the decision to adopt a dog, you don't want to wait any longer than you need to. However, we also believe that all good things in life are worth waiting for! We take in new dogs every week and the perfect one for you might be just around the corner. If you have decided you can wait no longer, please let us know so that we can close your application. 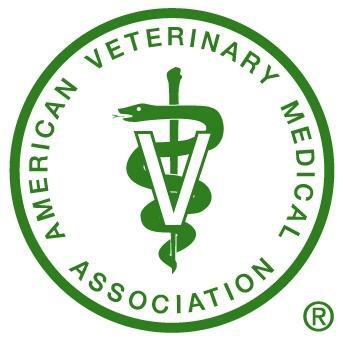 DRSF follows the AVMA guidelines for annual preventative care by the AVMA (American Veterinary Medical Association) for both foster and forever home to demonstrate multi year vetting practices. Additionally, vet references will be done to ensure potential adopters are providing monthly heartworm, flea, and tick meds, and annual vaccines. It is best for the dog and helps to keep vetting costs down in the long run! Dodgers is the best place on line to read up and educate yourself on IVDD to be ready to stand by your doxie when they need you most. Find A Doxie In Need Outside of Florida! We can guarantee you that wherever you are, thre is a doxie close by that needs help and a home! Check out these links to search for doxies (or any kind of dog) by zip code or state!